Striped Waffle Cardigan Just $24.99! Down From $55! Shipped! 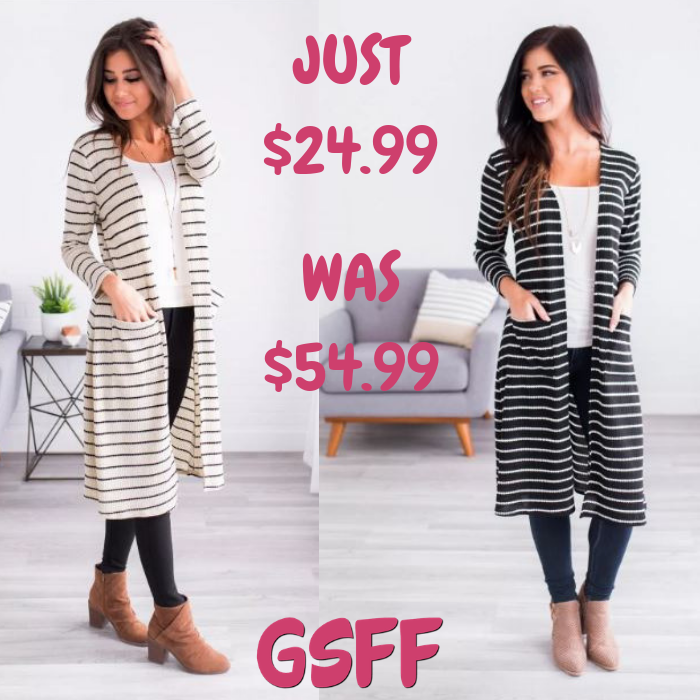 You are here: Home / Great Deals / Striped Waffle Cardigan Just $24.99! Down From $55! Shipped! For a limited time only! Jane is now offering this Striped Waffle Cardigan for just $24.99 down from $54.99 PLUS FREE shipping! Classy yet comfy, this new Maisie Striped Waffle Cardigan is gonna be one of your favorite pieces this season! From the long length to the waffled texture to the trendy horizontal striped design, what’s not to love? The semi-loose fit makes this piece so comfy and easy to wear. This cardigan is so soft it’s perfect for layering over all your favorite fall and winter tops!